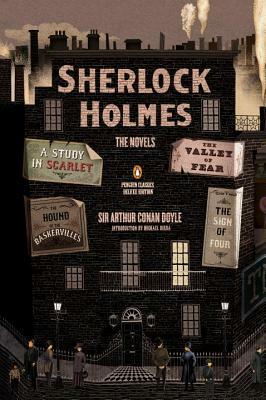 Sir Arthur Conan Doyle (1859–1930) was born in Edinburgh. After receiving a medical degree from Edinburgh University in 1881, he became an eye specialist in Southsea, with a distressing lack of success. Hoping to augment his income, he wrote his first detective story, A Study in Scarlet. Fifty-nine more Sherlock Holmes adventures followed. Michael Dirda is a Pulitzer Prize–winning book critic for the Washington Post. He is the author of two collections of literary journalism and several books on authors and reading, including On Conan Doyle: Or, The Whole Art of Storytelling, which received the 2012 Edgar Award in the Best Critical/Biographical category.